I still remember the look on my girlfriend’s face when I looked her in the eyes and presented her with a stunning diamond engagement ring. She is now my wife and not a day goes by where I don’t feel like the luckiest man in the world. Being the Diamond Geek, I had some extra pressure to find her a ring that truly went above and beyond, while still remaining within my budget. 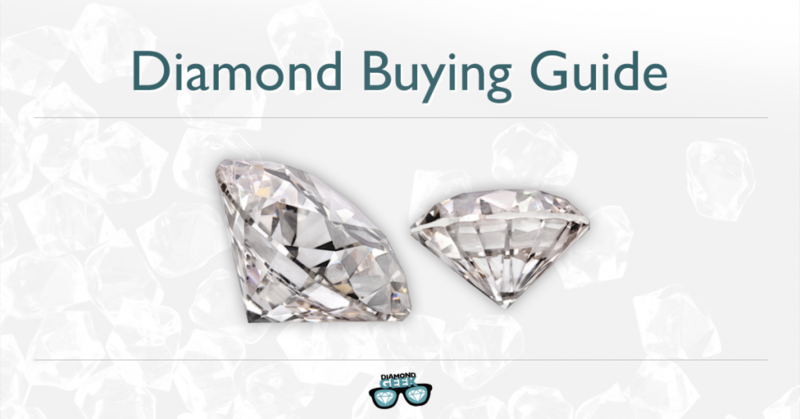 This is why i wrote this diamond buying guide, to make thing more simple. Having gone through this process myself and having frequently helped guide people to finding the perfect engagement ring for their partner, I thought it was about time to collect all of my knowledge and experience into a single helpful diamond buying guide. 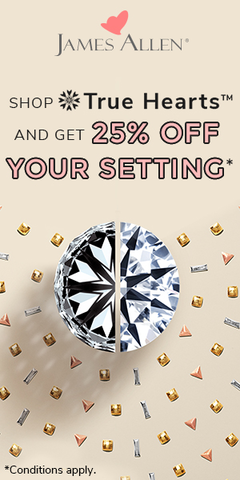 Finding the perfect diamond ring is about to get a whole lot easier. When making a big purchase it is always good advice to work out what you can afford first. Receiving a diamond should be a wonderful moment but here’s something they don’t tell you – GIVING a diamond should also feel like a wonderful moment. If you’re going to be in debt for the next six months because you overspent, then you’re not going to be in the right frame of mind to fully enjoy the moment. Even if you’ve promised yourself to only buy what you can afford, that still doesn’t provide a magical number, does it? Some people think you should spend at least two months’ salary for the perfect engagement ring. Personally, I think that’s total nonsense! With some smart research you can get a gorgeous ring for less than $1,000. She’ll think it looks like a million bucks and consequently feel like a million bucks, while you’ll be able to pay your rent – everyone is a winner! 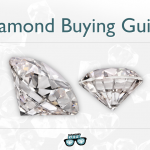 Don’t worry, this diamond buying guide is going to help you maximize your budget – whatever the size – to find the perfect diamond ring for your loved one. There are a LOT of diamond rings out there. Big and small, white and colored, different cuts, different bands, classic or modern…and on and on it goes. So what you’re going to want to do is narrow the search by determining something quite important to the whole process – what does SHE like? Does she often wear jewelry? What type? Take note of her favorite colors and styles. Is she more classical or modern? Is she bold or understated? If she doesn’t wear jewelry, do you know why? Maybe start a natural discussion about it. Or you could ask a trusted friend. When I was 18 I gave my first girlfriend a gold necklace. She said she liked it but never wore it. When I finally built up the courage to ask, she told me that she was allergic to gold. Whoops. Don’t make the same mistake. Your partner is going to be the one wearing the jewelry, so find out what she likes. Do that and not only will you have a happy partner, you’ll make your search so much smoother. The average ring size for a woman is 6-6.5, but I would advise against playing the odds if you can help it. The simplest idea would be to find one of her rings, one she doesn’t wear often and wouldn’t notice if it was missing, and take it to the jeweler. It’s also important to make sure that she uses it on her ring finger. If you’re scared of losing it, you could trace the ring on a piece of paper and take that instead. Alternatively, you could ask a friend of hers – a friend that you feel confident won’t spill the beans. If you’re not the secretive type, you could even ask your girlfriend yourself. You could play it a bit coy by saying that one day you might have a reason to use the information. James Allen has an online ring sizing tool that will assist. Failing all of that, you have the plain ring proposal option, whereby you find jewelers that have the option to place the diamond on a temporary setting (Gold or Silver). Then, after the successful proposal, you can return the ring together and have it properly sized for her finger and then set the diamond in an ideal setting of her choice. It might not be as traditionally romantic but it will show you care about her opinion – something she may appreciate even more. Okay, now it’s time to get serious and start looking at diamonds. If you don’t have a lot of knowledge there are a number of guides, forums and websites that will help you understand what you should be looking for. Not every resource is going to be as accurate or as clear as you’d like, but my guides are a good place to start. I would also recommend Truth About Diamonds and Price Scope – both are great resources and the latter has a very active forum. If you want to browse style ideas, I highly recommend online shops like Ebay and Etsy, which have lots of diamond rings to look over. I particularly like Etsy, which has items from private designers and small companies who make their own designs. Wouldn’t it be more special to have a uniquely designed diamond ring for your girlfriend? If you want something more traditional, you can’t go wrong with James Allen. 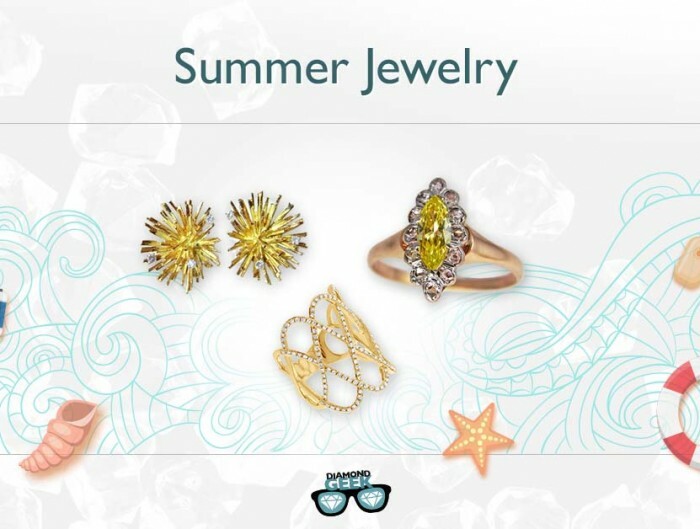 They offer a huge collection of diamonds, diamond rings and jewelry. Their big advantage over the competition is their ability to offer real 3D pictures of each diamond as well as competitive pricing. If you have the time you could also go to a brick and mortar store. Talk to the salesperson and take a look at the rings in person. 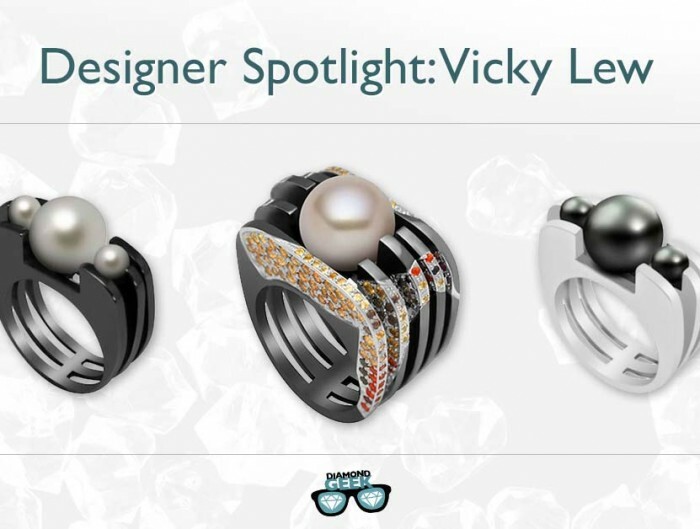 Sure, they will have an agenda but you can also absorb some key information such as what rings are within your budget and what styles are currently in fashion. I would advise against making an impulse purchase, rather gather information and then weigh up your various options. However, if you are an impulsive person and you lay eyes on a ring that you think would be perfect for your girlfriend, by all means go for it. There are many paths – you just need to find the right one for you. There is only so much research and homework you can do. Eventually you need to settle on a ring. I am going to cover the most important aspects that you need to consider when buying a diamond. You don’t have to fully understand everything, but even some knowledge is better than no knowledge. Let’s begin with the crucial elements that ultimately decide how a diamond is valued. Two diamonds may look identical to the naked eye but under 10x magnification it could be that one is clearer better quality than the other. Once you understand the key metrics it will be a lot easier to find the right diamond. Carat refers to the weight of a diamond. Compared to the other C’s, the carat weight is very straightforward to calculate. This measurement was adapted from the way gemstones were historically measured with a balance scale. Carob seeds were commonly used as the counterweight, which explains where the term “carat” originates from. The weight of a carat was set in the early 20th century and it remains the same today. Carat is probably the biggest factor in the pricing of a diamond and a lot of people want to get the biggest diamond possible in order to deliver that surprise reaction. However, that extra size is not going to come cheap. 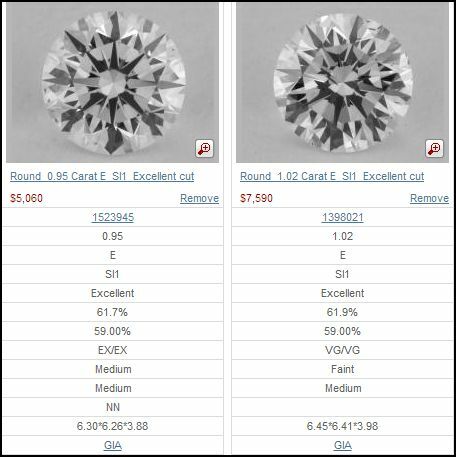 Two diamonds that have the exact same shape, clarity, cut and color but slightly different carat weights – let’s say 0.98 carat versus 1.10 carat – could see you paying a couple thousand dollars more. There is also a premium, followed by a price hike, for diamonds that hold the carat weights of 0.50, 0.75 and 1.00. Shoppers just love those round numbers, and sellers know this all too well. Personally, I’d much rather pick out a 0.95 carat diamond and avoid that extra premium. Below you can see two almost identical diamonds that illustrate what I’m talking about. Another important detail to bear in mind is that a larger carat size does not necessarily mean a larger diamond. Remember, carat refers to WEIGHT. A diamond that weigh 0.92 carats can have the same diameter as 1.05 diamond – there can be many reasons for that but the most common is the fact that weight cutters prefer keeping the weight of the diamond high, while compromising on the cut. This can create a “fat” looking diamond, which has a much thicker girdle as this area can easily absorb weight. So for example, instead of having a diamond measuring 6.4-6.5 mm, it measures 6.1-6.2 mm. The effect does not look good but hey, that doesn’t matter as long as it is above 1 carat, right? Alternatively you can find an ideally cut diamond of 0.92 carats and a measurement 6.35 mm. This diamond will not only look better, it will also be priced cheaper. I know which diamond I would prefer. To give you a more thorough guide on diamond price, you should try and get acquainted with the Rapaport price list. This list is the internationally recognized and standardized diamond trade price list that diamond traders use to determine the price point for diamonds. Only diamond trade members can access the list but hey, the internet is a great place for finding information. If you have good sleuthing skills or have some connections, you could get your hands on the list. Alternatively, you could just compare prices between different websites or ask someone who knows the industry well – like me! Whereas carat is a very predictable element, in terms of personal preferences, color is the total opposite. Personal taste comes into play here and everyone is going to feel differently. You could go with a clear white diamond, one with a slight yellow tint (H to K color), one with a bit more noticeable color tone (L to S color) and you can also go to the FANCY color zone with edgier colors like yellow, pink or blue. White or colorless diamonds are considered the most traditional choices for engagement rings, however most white diamonds actually have a yellow tint. With truly colorless diamonds you’re going to be paying for the rarity of that attribute. Color grading for white diamonds ranges from D to Z, with D being the purest colorless diamonds and on the other end of the spectrum the Z grade is given to diamonds that carry slight color, mostly yellow, brown and grey. While white or colorless diamonds are considered more beautiful (and thus valuable) with less color, Fancy Color diamonds are all about deeper, more saturated colors. In other words, the more the color stands out in a Fancy Color Diamond, the more beautiful it is. For example, a Deep Blue diamond would be more valuable than a Light Blue diamond and a Dark Blue diamond would be an even greater value still. Part of this is aesthetics but it’s also due to rarity, intense color diamonds aren’t that easy to find and are thus a lot more expensive to obtain. Some people would prefer a Fancy Color diamond but considering it’s a bit outside of the mainstream, you might be to try and confirm that this is something your girlfriend would like before you make the purchase. Diamonds may look flawless but most diamonds are not. They come with a variety of internal and external flaws like cracks, nits, pits, scratches and lines. Some flaws can be seen with the naked eye whereas others can only be seen under a microscope. For the consumer, it’s important to be able to identify which flaws affect the diamond in the real world, because understanding this area is where you can really find great value. Internal flaws are called inclusions whereas external flaws are called blemishes. These flaws are either a result of the natural creation process of the diamond, or they were produced during the cutting process. Below is a breakdown of the clarity grades that gemological labs like GIA (Gemological Institute of America) and AGS (American Gem Society) will issue during the grading of a diamond. Clarity grading is based on the number of flaws found, their size, color, placement and ultimately their visibility. 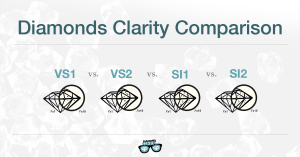 For much more detail be sure to check out The Geek’s Guide to Diamond Clarity and Diamond clarity comparison – VS1 , VS2 , SI1 , SI2. But in summary, I would suggest getting a diamond that is above the SI2 grade. Whatever flaws these diamonds have will be hard to spot to the naked eye. 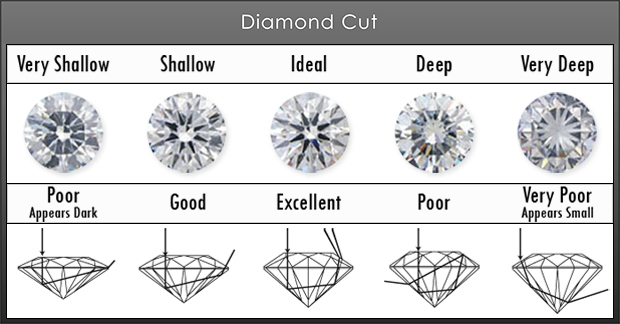 The cut of a diamond is a very important factor in determining value as well as real world beauty. The cut of the diamond is the only one of the 4 C’s that is entirely man made. An expert cutter can create the proportions and angles that result in a gorgeous sparkle every time light hits the diamond. On the other hand, a bad cut will reduce the shine and sparkle. Unfortunately, many diamond ring shoppers will insist on getting a larger and cleaner white diamond, not realizing just how effective a good cut would be. 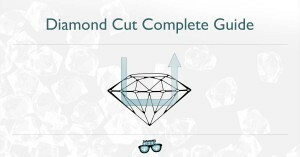 A well cut diamond will have good symmetry, proportions, polish and objective light return. In essence, the diamond will be shaped to return light to the viewer in the most dramatic and impactful way, while also reducing the amount of light that is lost due to leakage. This can be a tricky attribute to determine as all diamonds look sparkling in the store, don’t they? Stores are actually designed to produce the best light to trigger sparkling, leading to many buyers wondering what happened to the sparkle when they get the diamond back home. Since our eyes are limited in their ability to scrutinize this measure, you should lean on the grade from reputable laboratories like GIA and AGS, which of course means purchasing a diamond that is certified. These labs will have conducted tests to determine the real quality of the diamond cut. Okay, shape is not one of the 4 C’s and it’s certainly not as important as them, but this is still something that should be understood and considered before making a purchase. The right shape will be a personal preference. Certain shapes are more traditional, others more modern, some are good for certain types of hands while others create the best sparkle. The Round shape is considered to be the shape that brings out the best sparkle and thus also has the highest value. In fact, the Rappaport price sheet has a separate sheet for Rounds, so it is truly the ideal. The methods of cutting Round diamonds are still being perfected today. They conceal slight imperfections better than other shapes, they look whiter than other shapes and they maximize shine. Not all rough diamonds have the right dimensions to be cut into Rounds, this is where we get the diversity of other shapes – called Fancy Shapes. 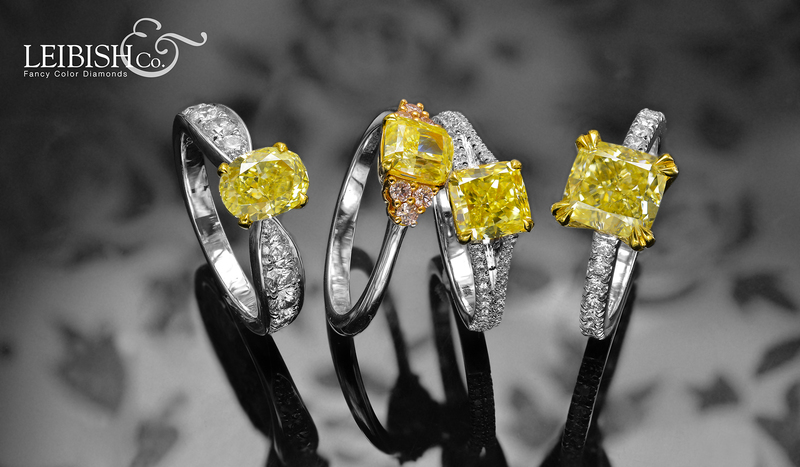 These shapes include Princess, Asscher, Radiant, Oval, Marquise, Pear, Heart and Cushion. 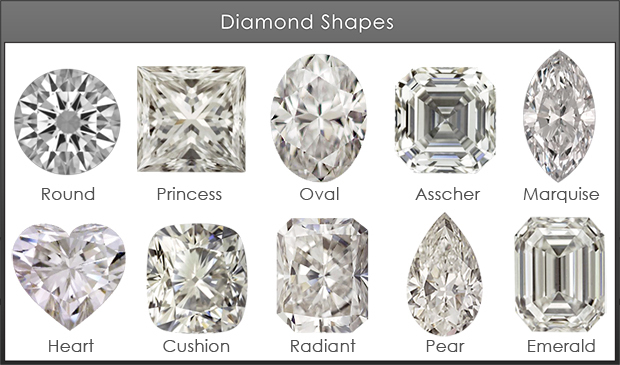 All of these shapes, with the exception of Asscher and Emerald, are modified Round (also called Brilliant) cuts. The Emerald cut is a stepped cut, which dazzles with a mirror-like appearance and is great for diamonds that have good clarity and high color. The one thing I would consider with shape is how it will look on the hand of your partner. Shorter fingers will benefit from elongated styles like Oval, Marquise and Pear. Long fingers are best paired with square shapes like Radiant and Princess. While women with larger hands should avoid narrow shapes like Emerald and Marquise and instead go for Heart and Round shapes, which will be more flattering. It’s almost time for the proposal. I can’t help you with that (or maybe I can, my proposal was successful after all) but I can help you with the actual purchase. Here are just a couple final things to consider. I talked about the diamond certification earlier, but in case you skipped those parts, diamonds can be graded by gemological laboratories, which will determine all the quality metrics in a consistent and reliable manner. It will include the precise measurement, cut, clarity, color, carat, finish, quality and any defects present in the stone. This diamond grading report will basically serve as evidence for the diamond’s value and authenticity, although it’s important to remember that they DO NOT put a value on the diamond – this is what an appraisal is for. As mentioned earlier, there are a number of reputable grading labs like AGS, but the GIA is considered the most essential. I would recommend that a non-expert buyer never purchase a diamond that is not certified. It provides reassurance that you’re getting what you’re paying for and is also necessary when insuring the diamond. Here are some of the few things that can be done to diamonds to make them seem better than they are, but which a grading will pinpoint. Some online and retail stores will try and sell self-certified diamonds. It doesn’t take a genius to see that this is a really bad idea and that there is every possibility that they would inflate the grades to sell the diamond at a higher price. There are pros and cons to both the online diamond market and the traditional brick and mortar store. You really shouldn’t be worried about either option, although you always want to try and deal with sellers that have a good reputation. Let’s start with the physical diamond store. 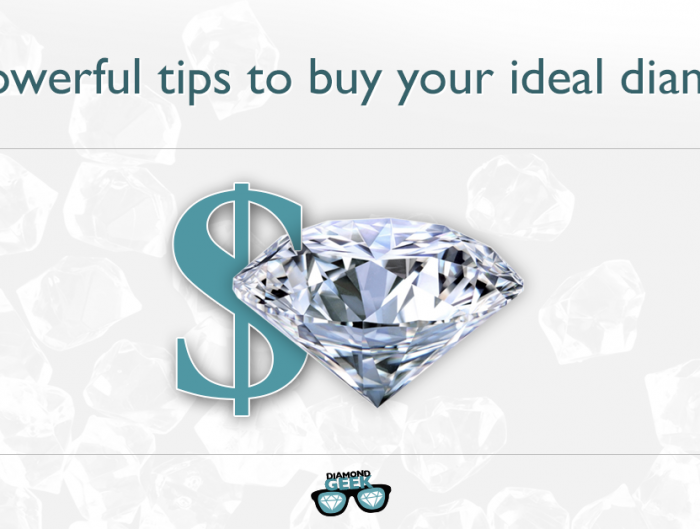 The obvious advantage is being able to see and judge the diamond in person, while also being able to talk to a salesperson about the diamond and your specific needs. A lot of people like to have this personal connection, which they find reassuring. The downside to the physical store experience is two-fold: limited stock and higher prices. So, less chance of finding the perfect diamond and a greater chance of paying more. Maybe the in-store personal experience is worth it? Only you will be able to answer that. Buying diamonds online scares some people but I want to reassure you that it really is safe. To be extra sure, only browse the more reputable online diamond stores. The benefits of looking for your engagement ring online are quite numerous. For a start there is a much wider selection that you’d find in a store. Online shops are often run by large wholesalers, which is why they have such extensive and diverse inventories. The other big advantage is that due to not having a commercial rental space, they are able to pass all the savings onto the customer in the form of cheaper prices. They also offer expert service offerings, so you can still communicate with a representative to talk about your needs, which is great for people who want help but are uncomfortable doing so in person. When you make an online purchase you will typically have that diamond in your hands within a day or two, which makes the whole process incredibly convenient, particularly since you never even have to leave your house. Another smaller benefit is the ability to easily find jewelry design specialists and work with them to create something unique and truly special for your engagement ring. You get to pick the metal, color, design, and setting characteristics – all from the comfort of your home! On the negative side, it’s true that not being able to see the diamond for yourself can be scary when making such a big purchase, but the best online stores will have high quality photos for you to get a good look. They will also have a robust returns policy, in case you’re not happy with what shows up on your doorstep. There you have it, everything that you need in order to find the perfect diamond for this incredible journey you are on. I know what it is like to feel the pressure of this moment but more than anything you should relax and enjoy the search. These tips are not hard and fast rules because there is no right or wrong. Be excited and proud of your choice and I’m sure that she (or he!) will respond with the answer you’re hoping for. If you have any further questions, the Diamond Geek is here and always keen to help. Just drop me a line and I’ll reply shortly.